Kevin Garnett has agreed to waive his no-trade clause to allow for his return to the Minnesota Timberwolves, league sources told Yahoo Sports. 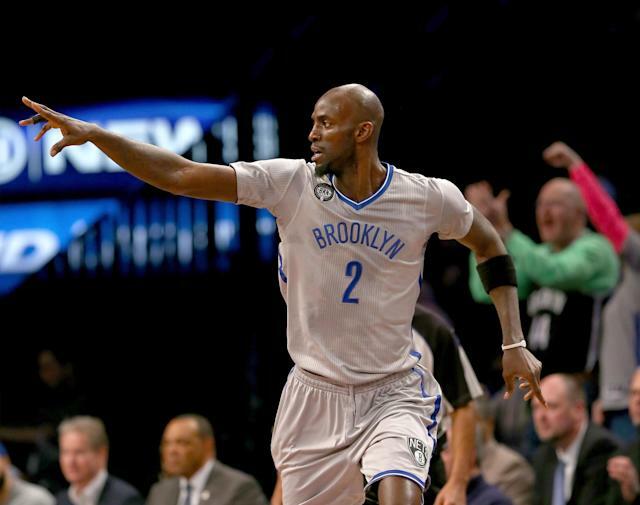 The Brooklyn Nets will send Garnett to the Timberwolves in exchange for forward Thaddeus Young, sources said. Garnett, 38, spent the first 12 seasons of his 20-year career in Minnesota. The Timberwolves made him the No. 5 overall pick of the 1995 NBA draft, and he later took them to the 2004 Western Conference finals. Minnesota has not returned to the playoffs since that season, and traded Garnett to the Boston Celtics prior to the 2007-08 season. Garnett has discussed taking a future ownership role with the Timberwolves after his retirement. Garnett averaged 6.8 points and 6.8 rebounds in 42 games for the Nets this season, his second with the franchise since the Celtics traded him and Paul Pierce to Brooklyn on the day of the 2013 draft. NBA.com first reported Garnett's decision.